Imagine you have a wide wall, say: about 50m wide and 2m high, like the ones in a long corridor. You want to create an image that covers the whole wall in a way that you can see in some detail what's in it (posters, light switches, whatever). Also, again like in a corridor, you can't move more than 1-2m away from that wall. It's obvious, at least to me, that it's impossible to solve this issue taking a single photograph. My initial idea revolves around taking multiple photographs of the said wall and properly stitch them in order to create the huge final picture. So my doubt focuses primarily on what equipment and method to use: would it be a good idea to use a fish-eye lens in order to cover the whole height of the wall at each picture I take? Will the fish-eye distortion make the stitching process very hard/impossible? Or would it perhaps be better to use a normal lens and take 2/3 pictures to cover the wall's whole height? Am I thinking it right? Should I do it another way? Any suggestions or previous attempt at doing what I'm trying to do? I'm a little lost and I understand the question may be a bit too vague, so I'm not expecting any final solutions, just suggestions (although if do know how it's done, please do tell). PS. Any awesome wall scanning equipment that I just take strolling down the corridor that does the whole work for me? (Yeah, right. That and the moon). Thank you so much for all the answers! I'll try some of your suggestions and post some feedback as soon I get results. You could use a fish-eye lens, however that may not be ideal. You would need to decide if you want the warping effect of a fish-eye lens, or whether you want the final shot to be without any distortion (note, you'll have some distortion regardless of what lens you use, most likely, but that can often be managed in post-processing these days.) If you do choose to use a fish-eye, it has a 180 degree angle of view, so if you situate yourself smack in the middle, point the lens strait at the wall, you should be able to capture the whole thing in one shot. You will have good detail in the center, but detail will quickly fall off towards the ends of the hall, as it gets compressed and warped by the lens. If you do try to capture the scene with several shots using a fish-eye lens, you might have some trouble stitching them together, given the extreme distortion. Overall, it probably isn't the best lens choice if your goal is to capture a lot of detail in the wall. To photograph a whole wall with little distortion, you would point the lens strait at the wall, snap a shot, move just a little under 1 meter down, snap another shot, etc. until the wall is photographed. I would avoid using any kind of "extra" lighting, like flash, as you can't guarantee the shots would line up properly without any seams. Just use whatever lighting is available. A very fast lens, such as f/1.4 or faster, would probably be best if your subject is indeed a hallway with lower lighting. multiple shots and panorama stitching is the way to go. I would not use a fish-eye. I'd set my camera in a vertical setup to maximize how much you can get floor to ceiling in the frame. To avoid distortion, you're going to want to move the tripod for every shot and line it up perpendicular to the wall (don't try to do it from one location by shifting the camera, you'll never get it to work without distortion). An easy way to do that is to get to the first shot location, set the tripod and work out exposure and focus, and then LOCK DOWN both. Masking tape on the focus wheel of the lens so it won't change. Then I'd use two story sticks, one that sets my distance from the wall, and one that sets my distance to move between shots. That way, you can quickly move the tripod, use the first story stick to make sure you set the same distance from the wall for consistent size and proper focus, and the other story stick to help you move the right distance so you get enough overlap for the stitching to work and stay consistent enough that you don't accidentally miss a section and ruin the panorama. You could do the same with a string set from beginning to end and taping each shot location so you have an easy reference. You could use a fisheye lens as the fisheye effect is totally reversible in post processing (google "defishing") however you wont end up with a square image after this which means you'll have to shoot with more overlap. With a reasonably wide rectilinear (non-fisheye) lens you should be able to get the vertical length of the wall in each shot. The best way would definitely be to move the camera along parallel to the wall and stitch the images. Technically you wont be shooting a panorama if you move the camera between shots, however if your subject is relatively flat the effect will be similar. It is very important to have the camera's image plane (where the sensor lies) parallel to the wall in order to be able to stitch the images easily. Assuming the wall is very near vertical this just means using a spirit level to make sure the camera is not tilting up/down. If not, vertical lines in the wall will converge (like railway lines going into the distance, except less pronounced) making it impossible to match up adjacent sections without first removing the convergence. If you have Photoshop CS3/4 try the photomerge function before looking into other software as it works well for me. Here's an example of people using this technique to produce a photo of a giant redwood (pretty much the same this as you are trying to do but with extra complications as it's vertical!). Multiple photos and panorama stiching is certainly the way to go. It works best if you get 20-50% overlap between shots, which helps to avoid both edge distortion and vignetting effects. You will also have a much easier time if you use the same focal length and exposure for all the shots, so I'd recommend a prime lens and manual mode. For this type of panorama stitching I like to use Hugin. It has a steep learning curve, but once you understand, it's really a great tool. Beyond simple stitching, it also does perspective correction, so you are able (with a little work) to get a final view of the wall with any distortion from the lens corrected. chuqui and jrista are dead on in their approach. Mutliple shots, available light, exposure lock, tripod lock, etc. One additional piece of equipment that will REALLY help you out is to use a dolly. This will allow you seamless movement from end to end and will help guarantee that your distance to wall remains the same. 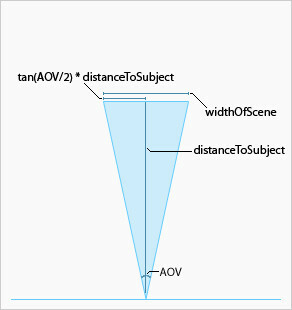 This is crucial, as any change in distance can alter your AOV, making stitching more difficult. You can rent dollie's from pro-video houses along with track, or you can build your own with pvc, some track wheels and a piece of plywood. Either way, I wouldn't attempt this job without one. Microsoft Image Composite Editor (ICE) produces amazing results and is an absolute breeze to use. It can stitch vertically and horizontally at the same time. You just take your shots in a grid. Not the answer you're looking for? Browse other questions tagged equipment-recommendation technique or ask your own question. Equipment for shooting while on a bike? Is there a camera bag with extra space that I use as an airplane carry-on? What do I need to take pics of building roofs? Digital camera for someone without a computer? How can I make my new DSLR more portable and convenient? Which one wide-medium lens to buy as the main lens for an outdoor wedding? What camera and accessories do I need for taking photos of paintings made with acrylics? Do non-distorted wide angle lenses exist for the Pentax KR? How can I do multiple exposures with my Sony A100?